Andrew Haigh’s earnest and deeply moving 45 Years is difficult to forget. Maybe it’s the concise storytelling that reveals so much in a single week? 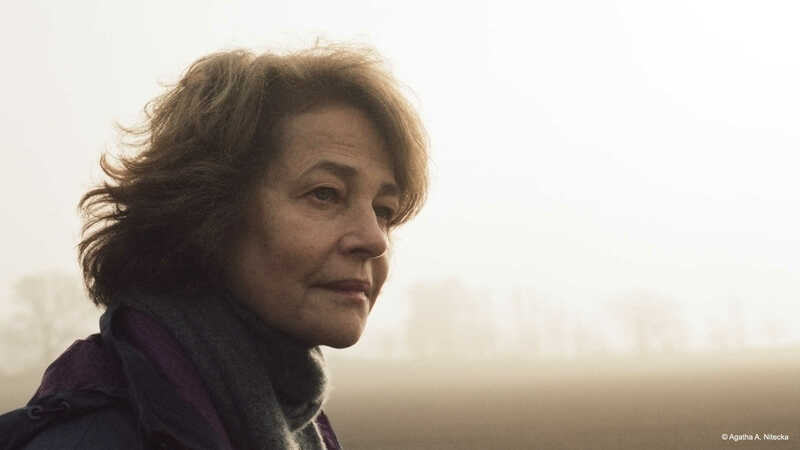 Or perhaps the outstanding performances from Charlotte Rampling and Tom Courtenay? Could it be the knowing, intimate look at a 45 year marriage that has one, lingering memory eating away at its foundations? Rampling and Courtenay portray Kate and Geoff Mercer. Living in rural Norfolk, and without children, they are due to celebrate their Wedding Anniversary. The arrival of a letter, revealing the whereabouts of the body of Geoff’s old girlfriend, seems to stir up emotions within him that Kate never knew. Based on David Constantine’s short story In Another Country, Haigh’s direction is expert, wisely homing in on Kate’s perspective exclusively. Geoff’s a softly spoken, gentle husband: an example of the elder gent, quietly enjoying his peaceful retired lifestyle. His demeanour and response to Kate’s few questions show him as honest, conflicted and ultimately struggling with his emotions. Kate, alternatively, has felt the deep rupture beneath the surface and her strong support and loyalty to Geoff is being chipped away. Both performances are magnificent, as you never doubt how sincere their marriage has been up until this point. Observing her husband, she is reflecting on their marriage. Love, and all its complications, is about trust. If that’s broken, every memory is tainted. 45 Years is poetic and heart-breaking with an unforgettable final second that pulls the events of the entire film suddenly into focus.